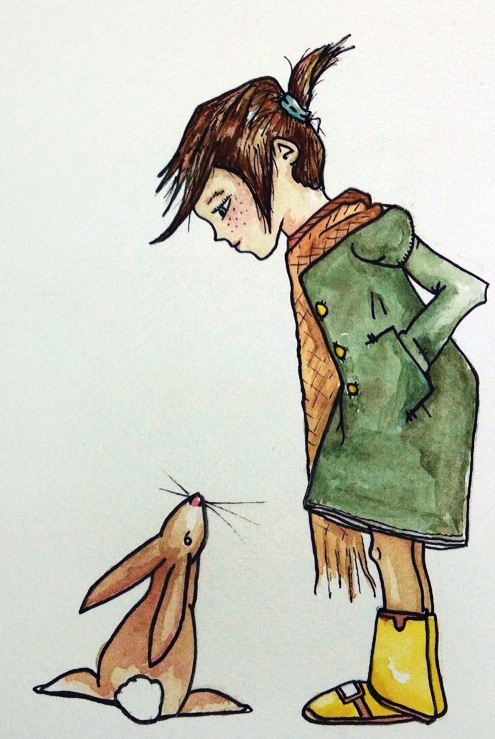 Exhibiting Artist: Justin Cooper | "The One That Got Away"
Justin Cooper has illustrated a story about a little girl who grows up and forgets that she once had a childhood best friend named Zoe, a stuffed rabbit. The little girl’s rabbit had been used to hugs and going on adventures with her. However, as the girl grows up she forgets all about Zoe and eventually sells her for 25 cents at a yard sale.